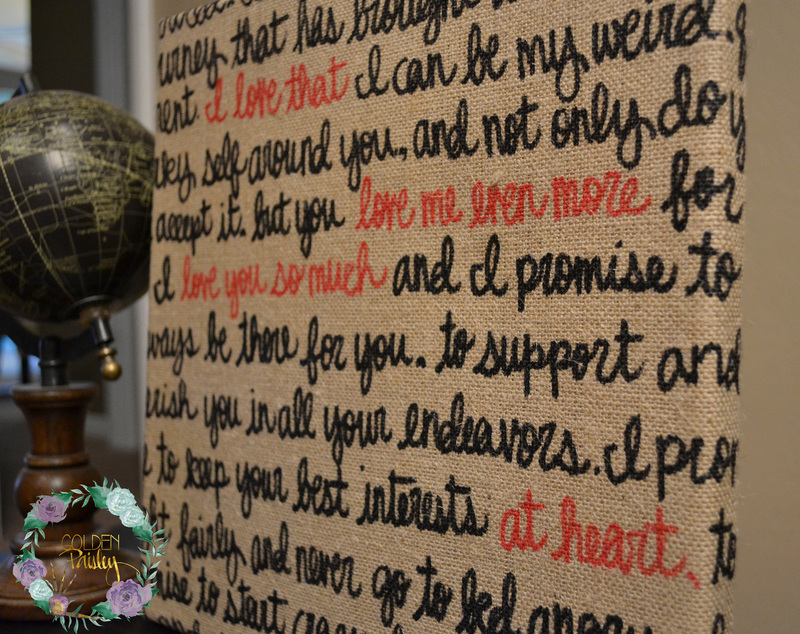 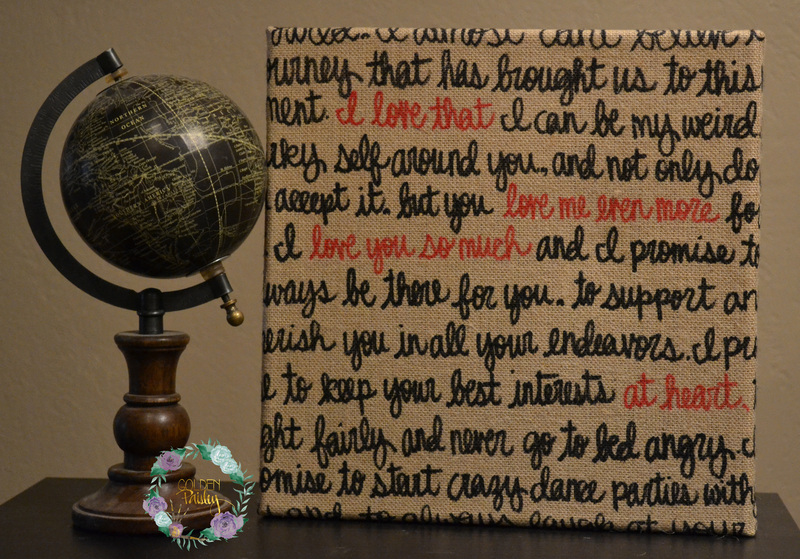 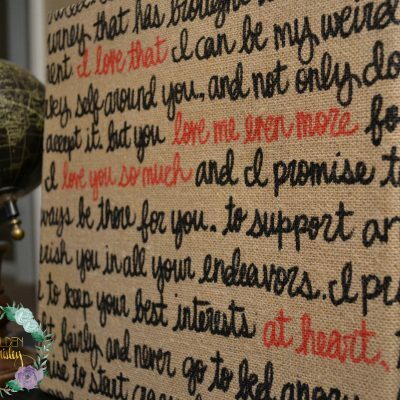 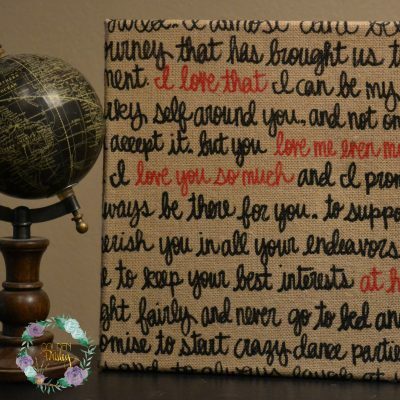 This beautiful custom personalized burlap canvas painting features the inspirational display of a couple’s special wedding vows. 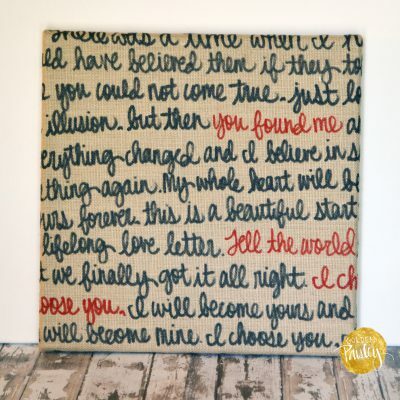 Each canvas is hand painted (not computer generated) with hanging hardware on the back. 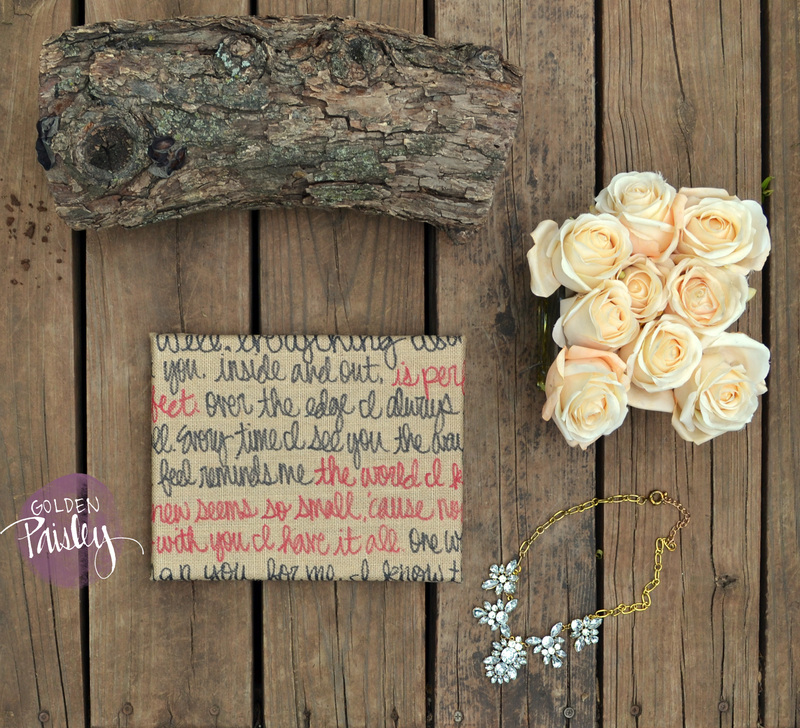 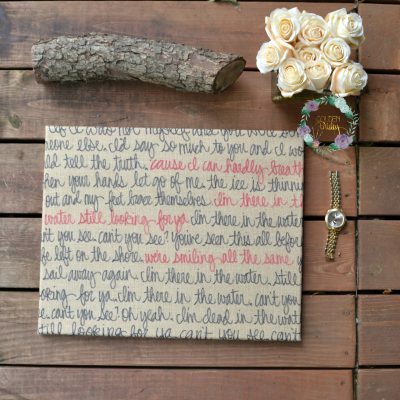 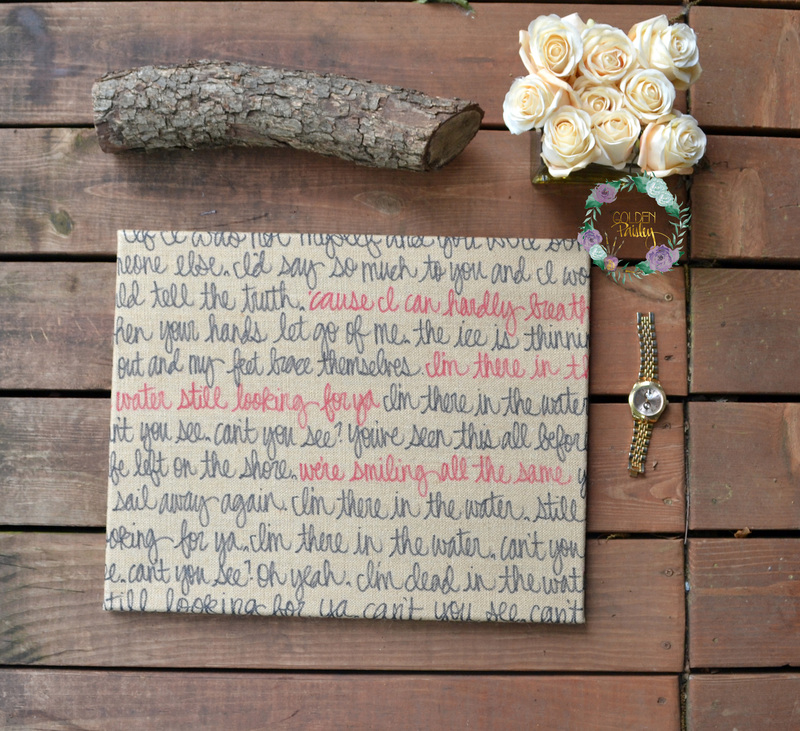 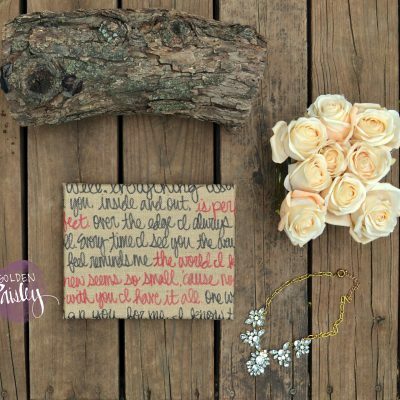 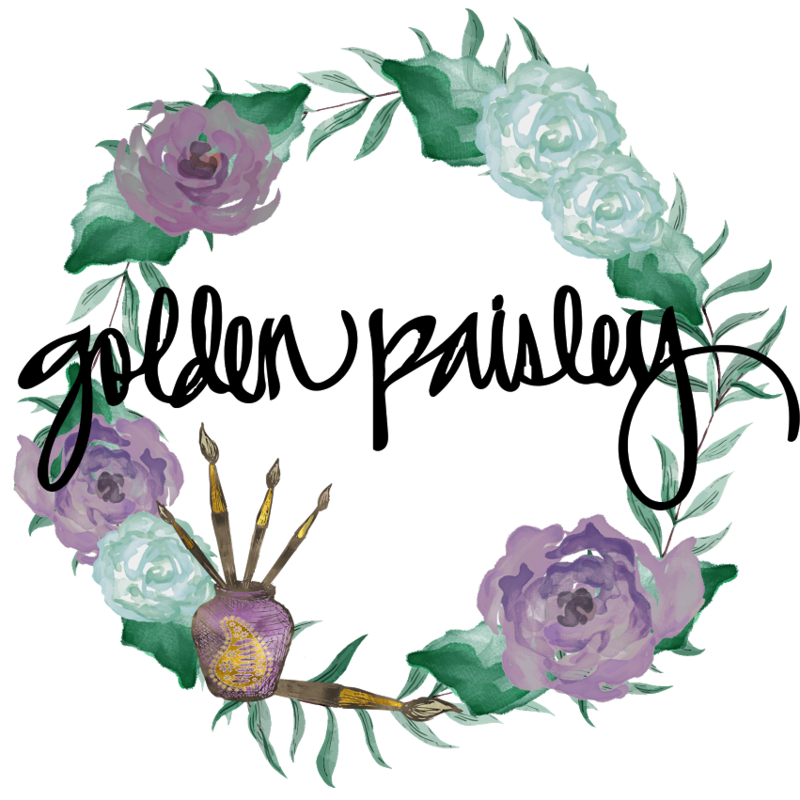 You send me your vows (song lyrics can be substituted upon request) and I turn those meaningful words into art you can display in your home or as a wedding decoration. 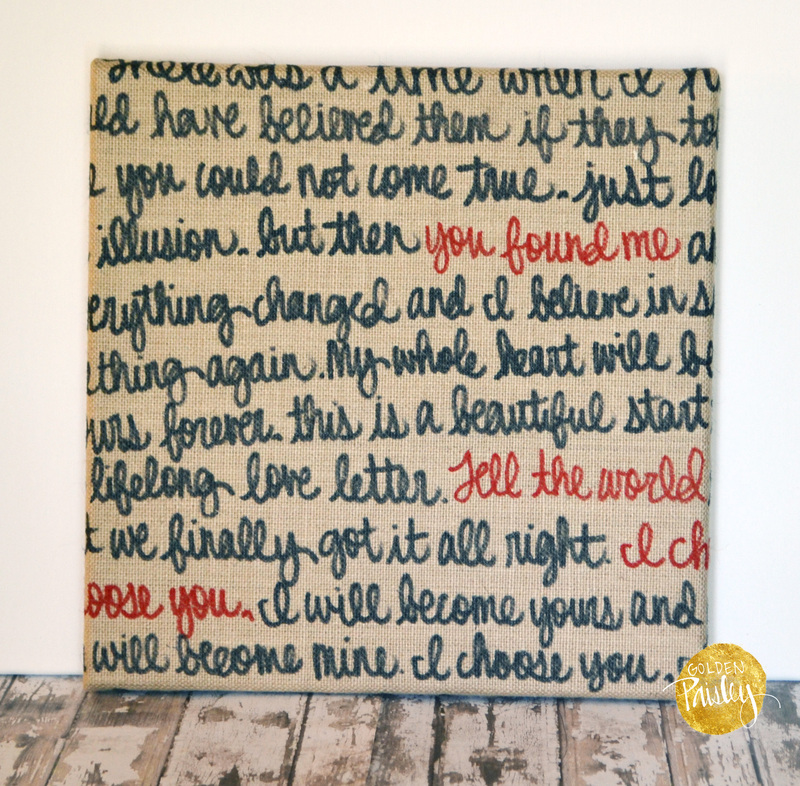 What a beautiful reminder of your love?